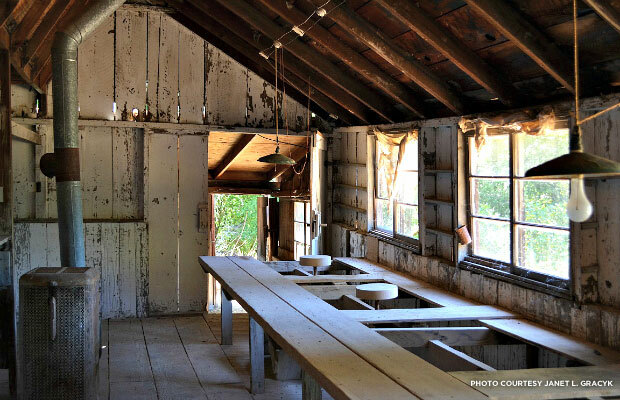 The barn at Pond Farm served as a teaching space and studio for renowned ceramics artist Marguerite Wildenhain. Students learn by doing. That’s the philosophy that midcentury artist Marguerite Wildenhain used in her ceramics workshops at art schools all over the country, and especially at her home studio of Pond Farm in northern California. Wildenhain was known for never allowing her students to keep a pot, insisting that the learning was in the process, not the finished piece. A new exhibit at the Contemporary Jewish Museum in San Francisco, titled "Designing Home: Jews and Midcentury Modernism," highlights the work of Wildenhain and other Jewish Midcentury Modern artists and designers, featuring furniture, textiles, architecture and handcrafted objects, and putting both the artists and their work in the context of the larger movement. Guest curator Donald Albrecht, who was approached by the Contemporary Jewish Museum to organize the exhibit, says that he was surprised to discover the amazing contributions that Jewish artists and architects made to Midcentury Modernism. The French-born Wildenhain was one such artist. Trained at the renowned Bauhaus school of design in Germany, Wildenhain, living in the Netherlands at the time, was able to emigrate to the U.S. in 1940 in advance of the Nazi invasion. After San Francisco couple Gordon and Jane Herr founded Pond Farm Workshops near Guerneville, Ca., in 1942, Wildenhain was one of the European artists invited to teach there. Although the farm only served as an artists’ colony for a short time, she continued to utilize Pond Farm as a home, studio, and teaching space until her death in 1985. Albrecht says that during the early years of Pond Farm (now one of the National Trust’s National Treasures), Wildenhain and other artists were free to have separate identities as both artists and Jewish people, something that fascism and Nazism had not permitted. “They were so obsessively trying to be individuals, which they were not allowed to be in Germany,” he says, adding that this fierce individualism eventually led to conflict that contributed to the dissolution of the artists’ colony. All that remains of Pond Farm today are two small residences and a barn on a hilltop along a creek bank, surrounded by thousands of acres of wilderness. Two of the structures are Wildenhain’s former house and a guest house, and a historic barn that still houses her potting wheel and intact teaching space. 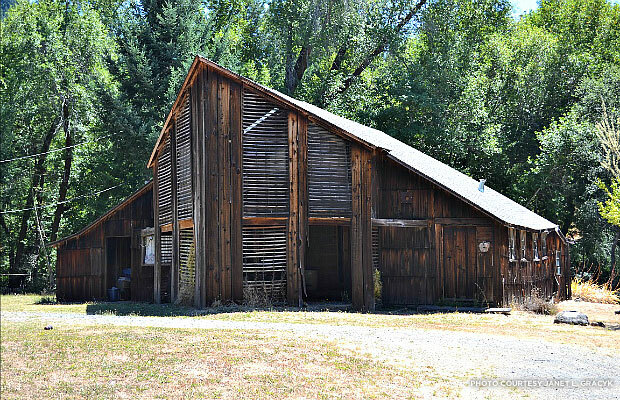 The farm was eventually incorporated into the Austin Creek State Recreation Area during Wildenhain’s lifetime, and the barn and her former house are now suffering from neglect at the hands of the cash-strapped State Parks department. Although the barn is deteriorating, Wildenhain’s original pottery wheels are still housed inside. 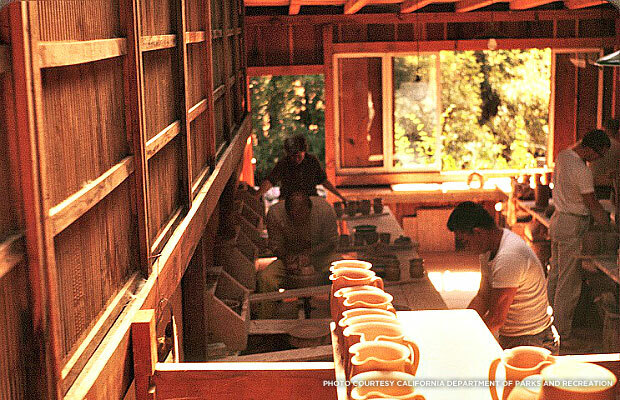 Janet Grayck, a landscape architect who completed a successful National Register nomination for Pond Farm at the end of last year, says that Wildenhain pioneered the concept and practice of pottery as an art form. Pottery and ceramics were only beginning to gain a foothold as an art form in the United States in the 1940s, ‘50s, and ‘60s, and Gracyk says that Wildenhain acted as a major advocate of the craft. Significant parts of her body of work now reside in the permanent collections of the Oakland Museum of California, the New York Museum of Modern Art, the Smithsonian, and Luther College in Iowa. Through partnerships with the California State Parks Foundation, local nonprofit Stewards of the Coast and Redwoods, and the State Parks department, the National Trust is hopeful that Pond Farm can serve as a model for innovative stewardship for underfunded historic parks. According to project manager and San Francisco-based field director Anthony Veerkamp, a grant proposal for stabilization of Pond Farm was recently approved by the State Parks, and construction is anticipated to start next year. Some reuse options include a site for environmental education or an artist-in-residence program. Forrest Merrill, an art collector who owns a number of Wildenhain’s works and was also a close personal friend, says that Wildenhain made no provisions for the buildings to be maintained. “She kept these physical buildings together until the day she died, and when the state of California took them over … they let them actually fall apart, one rainy winter after another,” he says. Designing Home: Jews and Midcentury Modernism is on display at the Contemporary Jewish Museum through October 6, 2014.